The Food and Drug Administration (FDA) is urging manufacturers to limit the number of pills that come in each box of Imodium in hopes of stemming misuse and abuse of the anti-diarrhea pills. The over-the-counter medication contains the active ingredient loperamide, which has been called “the poor man’s methadone.” Taking large amounts can relieve symptoms of opioid withdrawal or result in a cheap, opioid-like high. Abuse of the drug can have deadly results, the FDA warned in 2016. High doses can cause dangerous, rapid heart rhythm and other problems that can ultimately result in death. 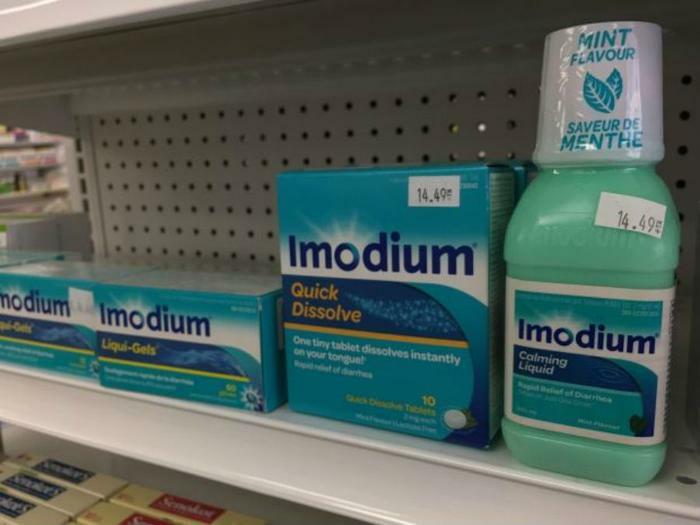 Imodium has been associated with 48 reported cases of serious cardiac events since the drug’s approval in 1976 through 2015; 31 of those reported cases required hospitalization, and ten people died, the FDA said. These cases were “particularly among people who are intentionally misusing or abusing high doses of loperamide in attempts to self-treat opioid withdrawal symptoms or to achieve a feeling of euphoria," the agency noted in a Drug Safety Communication. Highlighting the fact that the problem is worsening, the agency said half of those 48 cases were reported after 2010. To curb misuse of the drug, the FDA has asked manufacturers to change how they package the drug. Instead of allowing it to be sold in large bottles or bulk packaging, the agency wants packages to contain only enough medication for short-term diarrhea relief. One package, for example, might contain eight 2-milligram capsules in blister packaging -- a two-day supply. FDA Commissioner Scott Gottlieb called the move "a fairly unprecedented and novel action regarding an over-the-counter (OTC) product that we’re concerned is contributing to the death toll associated with the opioid epidemic." In 2016, the agency asked companies to change the labels on products sold under the brand name Imodium A-D, as well as store brands and generics, to warn consumers against taking a higher-than-recommended dose of the medication.